How do you start a post when you've been off line for nearly 2 months? Dive straight into the recipe or in this case recipes, I'm a little late posting my Suma recipe due to circumstances out of my control but better late than never eh? This is my third recipe for the Suma Bloggers Network, please check out my other two recipes; Vegetable Tagine and Blueberry Cheesecake and the other bloggers recipes, there are lots of tasty creations waiting for you to try. Suma is the UK's largest independent whole food wholesaler/distributor and are a workers' co-operative committed to ethical business. 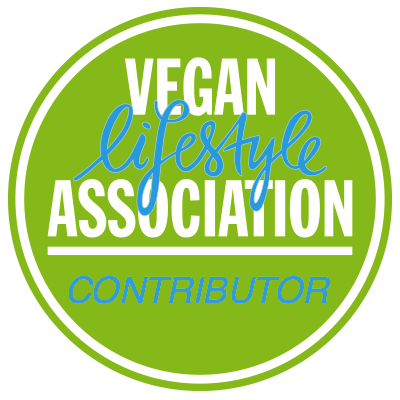 They have a fantastic range, everything they sell is vegetarian and many products are vegan. 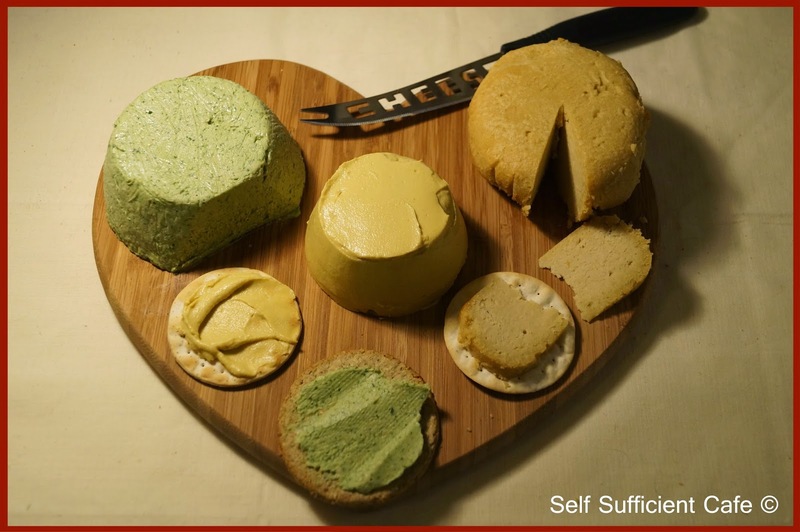 When I first transferred to a vegan diet I thought I would miss cheese the most, I was pleasantly surprised that I didn't. 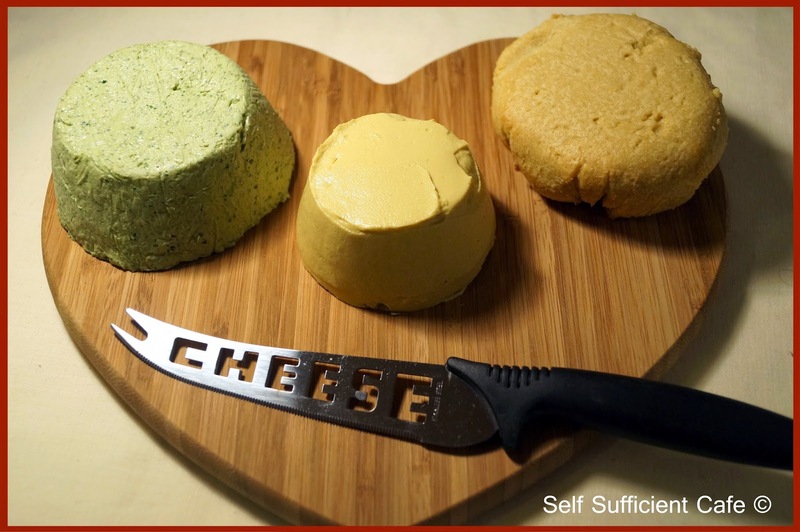 There are many vegan cheeses out there in case you do miss the taste but its far more rewarding to make your own. You can play around with flavours there is no limit, whatever flavour takes you fancy. I decided to make three different ones with the ingredients that I chose from Suma. Two spreadable and one you could slice. The herb cream cheese uses cashew nuts, the cheddary cheese uses almonds and the third which is baked uses almonds too, although you would never know. Soak the cashew nuts in the water overnight and then drain well. Add the drained cashew nuts to a food processor with the remaining ingredients and blitz to a thick paste. Add the mixture to a small bowl lined with clingfilm, press the mixture down and fold over the clingfilm adding a weight to the top. Place in the fridge for 4 hours or over night and remove the herb cream cheese from the bowl and the clingfilm to a board. Add the ground almonds, miso, herbs & spices and 100ml of the almond milk to a food processor and whiz to a paste. Transfer the mixture to a saucepan and whisk in the remaining almond milk. Sprinkle over 1 Tbsp of the agar agar and slowly bring the mixture to a simmer. When the mixture starts to bubble, the agar agar will have melted a little and you can stir it in. Let the mixture simmer for 10-15 minutes. If the mixture is still a little thin, add the remaining agar agar and simmer for another 10 minutes. Transfer to a bowl and leave to cool. Transfer to the fridge and let set before turning out onto a board. 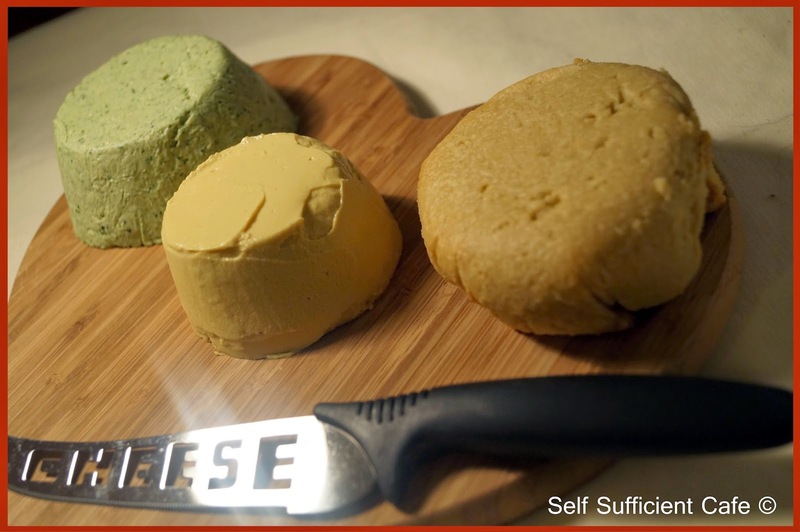 Place all the ingredients into a food processor and whiz until you have a thick paste. Spoon the mixture out onto a piece of clingfilm and wrap tightly shaping into a circular mound. Place in the fridge for 15 minutes to firm up a little more. Spritz a baking dish with olive oil and turn the 'cheese' onto the dish, removing the clingfilm. Bake in a moderate oven for 15-20 minutes until a crust has formed. Slice and eat with crackers. 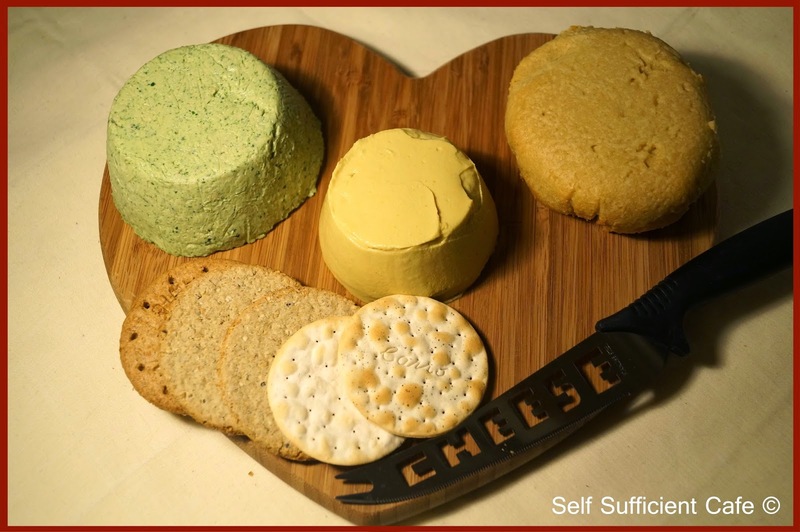 So, if you're spending Christmas with loved ones who aren't vegan, why not make and take your own cheese board. You don't have to be vegan to enjoy delicious food.